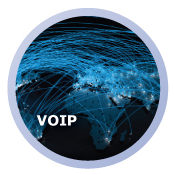 Bruce Networks is a leading information technology solution provider for a broad range of clients in the public and private sectors, with a focus on delivering on business objectives through the provision of IT services. We pride ourselves on our expertise and capabilities and understand that all organisations are different and require a tailored solution to meet their individual needs. Our flexible approach, our bespoke service allows us to truly understand our client's requirements and provide IT solutions to meet their objectives. Whether you require a Linux specialist to develop a robust network or manage a fully outsourced IT solution we will deliver. 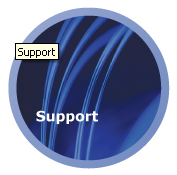 We aim to build long-lasting relationships and deliver innovative IT solutions in this demanding business environment. 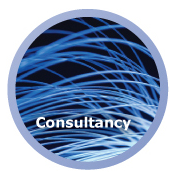 We are also well placed to relieve you of the need for reactive and costly IT fire-fighting. If you have a team of in-house IT professionals, our services will free them to focus on aligning technology-based operations to business instead of routine systems support. Meanwhile, you can concentrate on your priorities: ensuring a better business performance, sustained growth and increased profit. We work in a wide variety of industries and take pride in our extensive vertical skills. As a customer, you can take advantage of our service quality and our technically proficient people. While we have a uniquely consultative approach to IT infrastructure management, we are also well versed in hands-on technical provision of products and services. At all times we will remain responsible and accountable, working closely with you to understand your needs and help you achieve your goals. 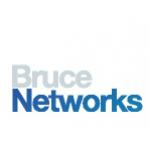 Bruce Networks is a locally owned and operated computer and information technology services company that has been serving the Bradford District. We offer an uncompromising and affordable service experience to local commercial, educational and government institutions. We understand the realities of running an IT infrastructure and making sure it grows and develops with the organisations. We know that all companies large and small face pressures and demands every day. So sometimes simply surviving takes so much time and effort that planning for the future falls by the wayside. Bruce Networks can lighten the burden for your business....by taking the pain away of running an IT infrastructure. rebuildingsociety.com is a peer-to-business lending platform. It connects creditworthy UK businesses with individuals looking for a better return on their money. Businesses apply to be listed on rebuildingsociety.com's marketplace and individuals bid to lend money to the business at interest rates they feel meets the risk in the business through an auction process. If successful, the business repays a fixed rate loan on a monthly basis, giving lenders a reliable monthly income and a business the capital it requires to grow.